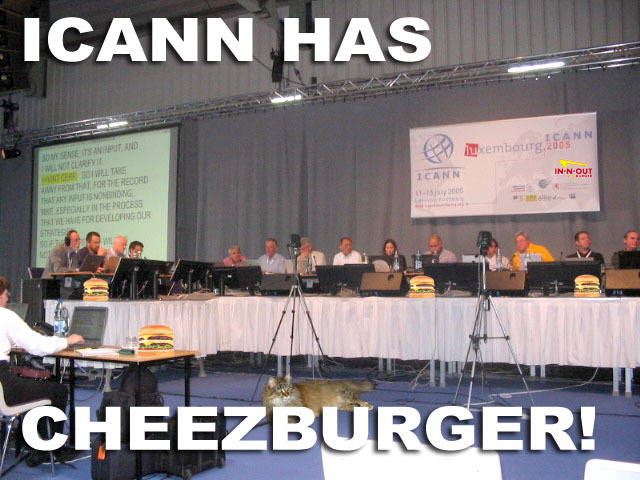 Home » Blogs » brad's blog » ICANN Has Cheezburger? Ok, I couldn't resist. If this makes no sense to you, sorry, explaining isn't going to make it funny. Look up lolcats. Thanks to David Farrar for the original ICANN board picture.